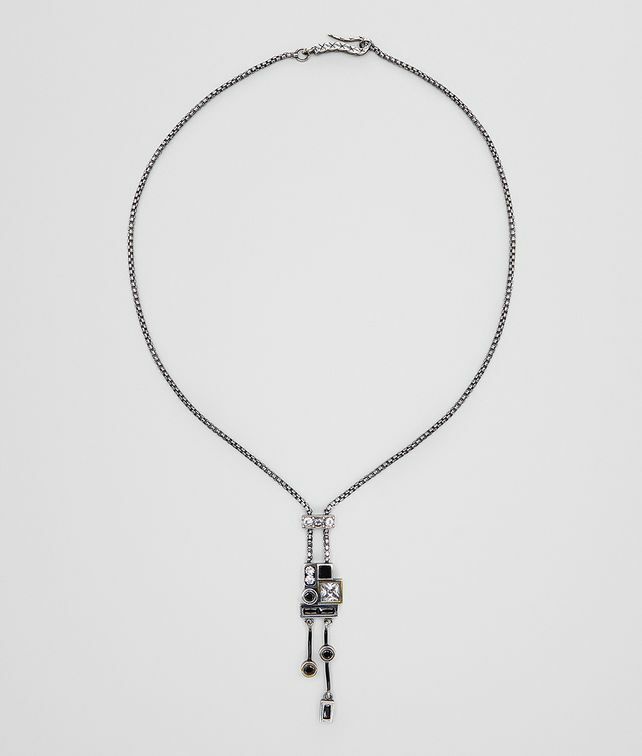 Part of the BV Inlay Deco collection, this chain necklace is hand-crafted from sterling silver and features a hanging pendant made with black enamel and cubic zirconia in a variety of geometric shapes. Reminiscent of Art Deco style, the geometric shapes have varying depths, creating a three-dimensional effect. A cubic zirconia-encrusted silver bar gives a subtle Y-shape to the necklace, which is brushed with a 24-karat gold patina and finished with a hook fastening. Length: 42 cm | 16.5"
Pendant: 6.5 cm x 3.4 cm x 2.7 cm | 2.5" x 1.3" x 1"